Sava region, Madagascar – Vanilla farmer Jacky points his machete towards a flattened area in the humid Madagascan jungle. This is where he sleeps at night to protect his precious vanilla flowers. “If I stay in my house, a thief might see it, and they will go to the fields,” he says, back in his humble treehouse with his wife and children, aged six and two. 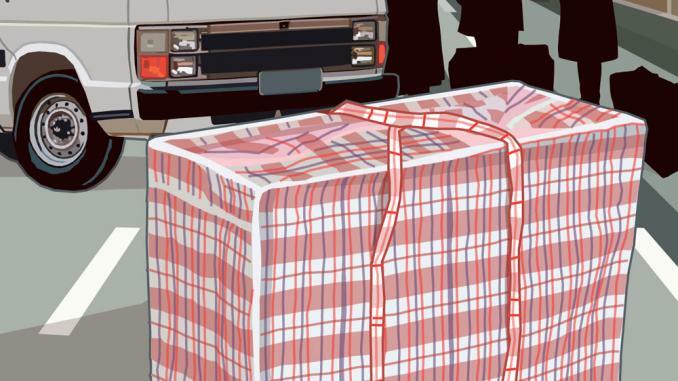 The family is surviving, but barely, and only as long as Jacky can fight off the thieves. 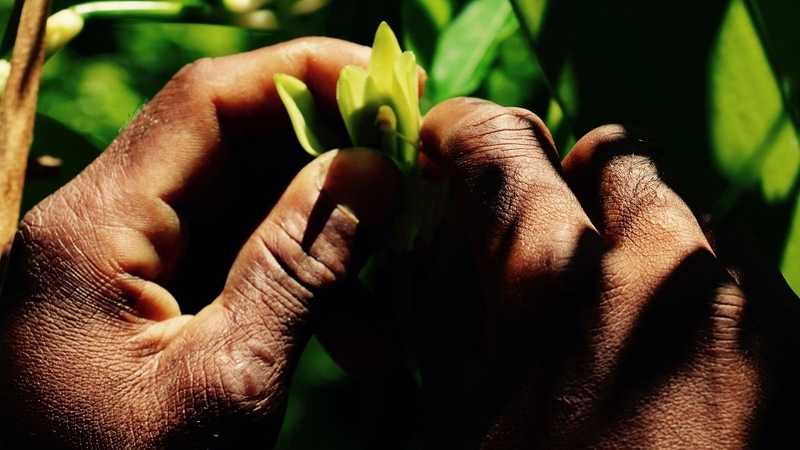 An investigation released in December by DanWatch describes how farmers in the region struggle with theft, and how exporters and European importers have difficulties tracking the vanilla back to the individual farmer. “Our research sheds light on an industry with serious tracking and supply chain issues,” says Jesper Nymark, CEO of DanWatch. 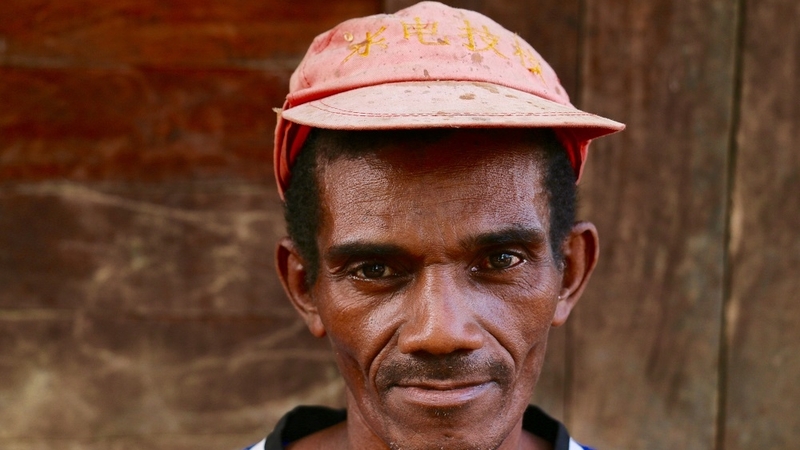 Vanilla farmer Moara was at a funeral when he was robbed. “The thieves came and stole half of my vanilla,” he says. The group of men surrounding him describe how everyone here has had vanilla stolen from their fields, surrounding the small village of Manjeva in northern Madagascar. “If we are gone for 15 minutes, they are there,” says Moara. 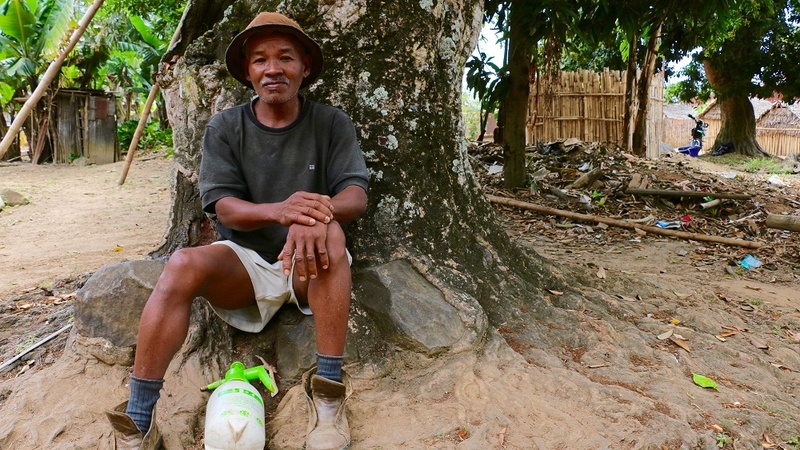 In the vanilla-producing Sava region in the northern part of the island nation of Madagascar, about three out of four vanilla farmers live on less than a dollar a day. Despite the fact that 80 percent of the vanilla on the global market originates from Madagascar off Africa’s east coast, “… in most years, farmers are living near or below the poverty level,” says Severine Deboos-David from the UN’s International Labour Organization. 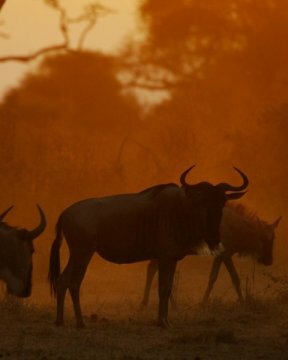 “It’s a tough job … you are eaten by mosquitoes; you have to work every day. 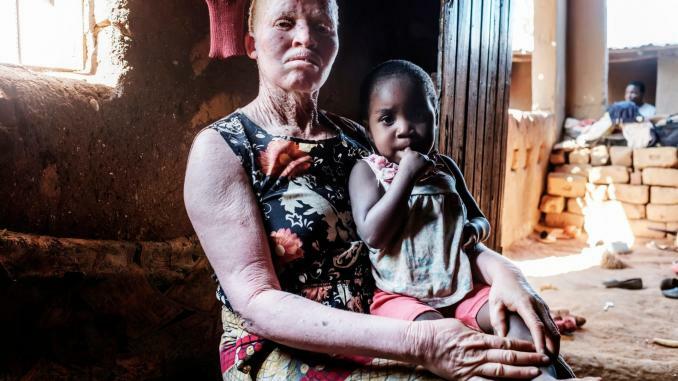 Then you have to face thieves who are stealing your hard work,” says vanilla farmer Meny, who is from the small village of Masovarika, just south of the regional vanilla capital Sambava. 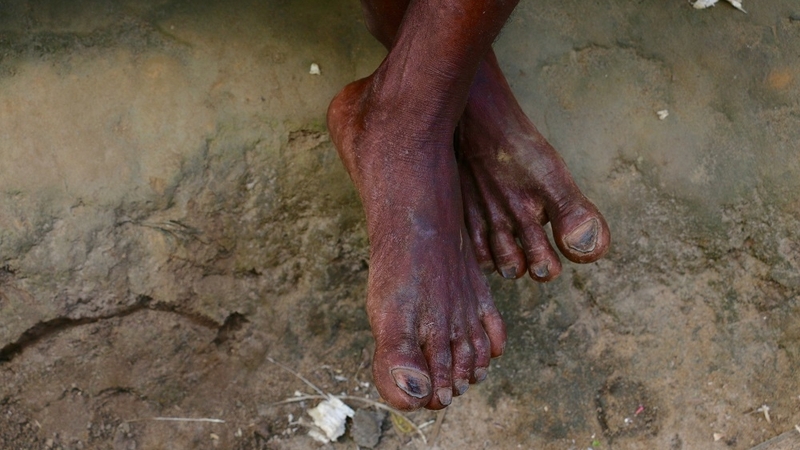 Meny and his three children live off roots and what they can find in and around the village. 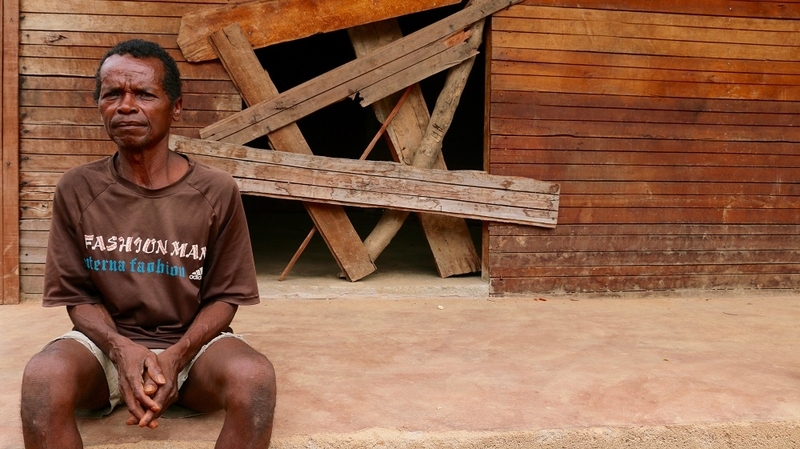 Last year, Meny had to take his oldest out of school, as money ran out. Vanilla farmer Rosenette has also had to take a child out of school. But she has more pressing concerns. “There are more thieves than farmers. My husband stays with the vanilla, but he comes home at night. We are afraid to be killed,” she says. Apprehension fills the warm air when the farmers are asked who the thieves are. 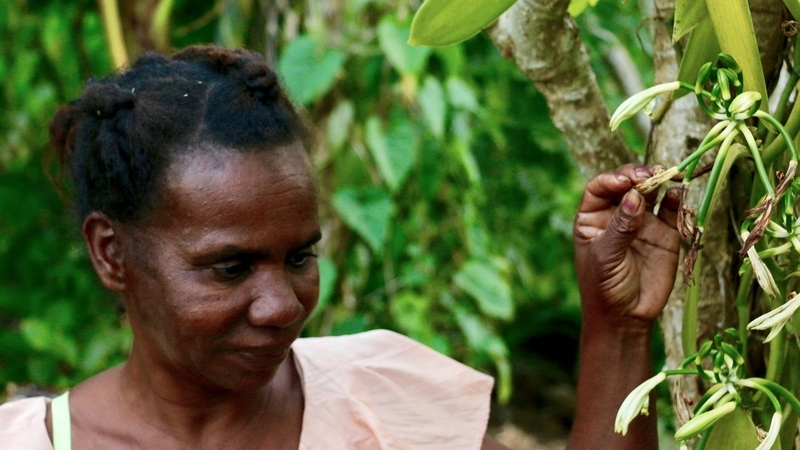 In a small village outside the vanilla transit town of Andapa, 66-year-old Visy readily answers questions about vanilla production, but when the conversation turns to thieves, he turns silent and avoids eye contact. Local vanilla buyer and processor Tombo Tam Hun Man says chaos rules the industry, and that lack of justice exacerbates the problem. “There is no punishment for the thieves. Even the thieves that were caught here were released before they made it to court; the police released them,” Man says. “Every single farmer we talked to had experienced problems with theft, impacting profit and livelihood massively,” says Nymark of DanWatch. If vanilla is stolen, Soa Marie and her husband Biddi, vanilla caretakers, have to cover the losses. This is their reality. “We have to sleep in the field, keeping an eye out for the vanilla, otherwise it will be stolen. It is a tough life, and we get the same low wage no matter what,” says Soa Marie, a small woman who it is hard to imagine chasing off thieves. Her husband Biddi, a thin man with kind eyes, shakes his head. “It is very hard to make ends meet,” he says. 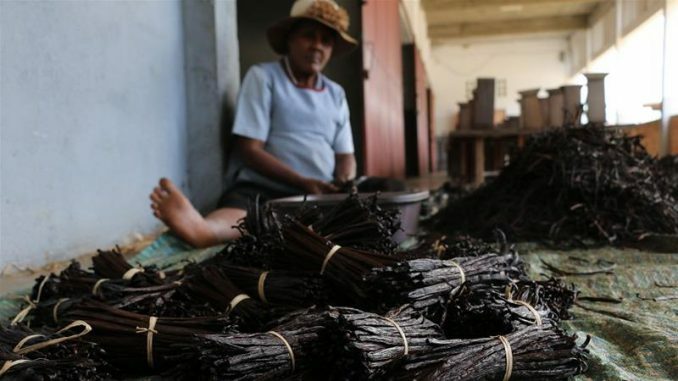 An executive in a Madagascan vanilla exporting company who requested that Al Jazeera not reveal his name, says there is no way of knowing if vanilla is stolen, and that unmarked vanilla ends up in Europe and northern America. “Everything is exported, we cannot distinguish,” he admits in an empty hotel lobby after hours. He describes how collectors – middlemen driving out to the remote villages buying vanilla and selling it to exporters – mix stolen and legitimate vanilla, making it impossible to differentiate. Corruption and lack of resources make the authorities the enemy, rather than an ally, the executive says. “A head of the gendarmerie [local police] is buying all the stolen vanilla. The man authorised to control the vanilla trade,” he says. Bety Florent, the president of the government’s regional labour committee, is well aware of the problem. 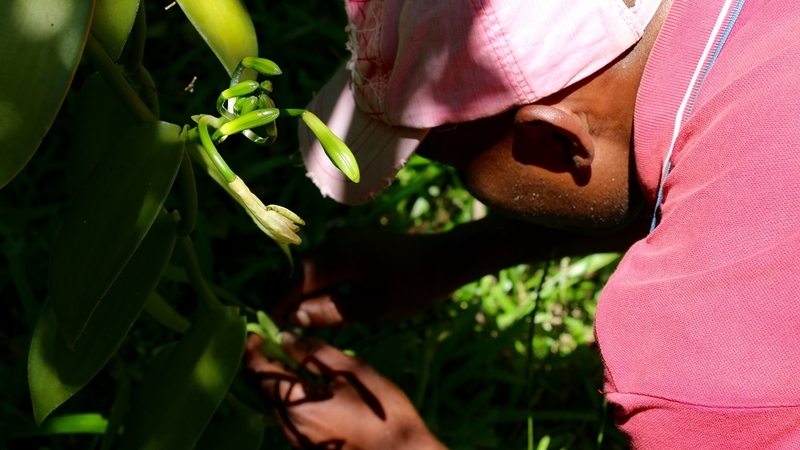 Some say it will be impossible to eliminate theft in Madagascar’s vanilla industry without finding a way of tracing each individual vanilla bean back to the farmer who grew it. “We used to use this,” vanilla farmer Velomora says, holding out a small wooden tool with tiny nails on the end, making up a key. 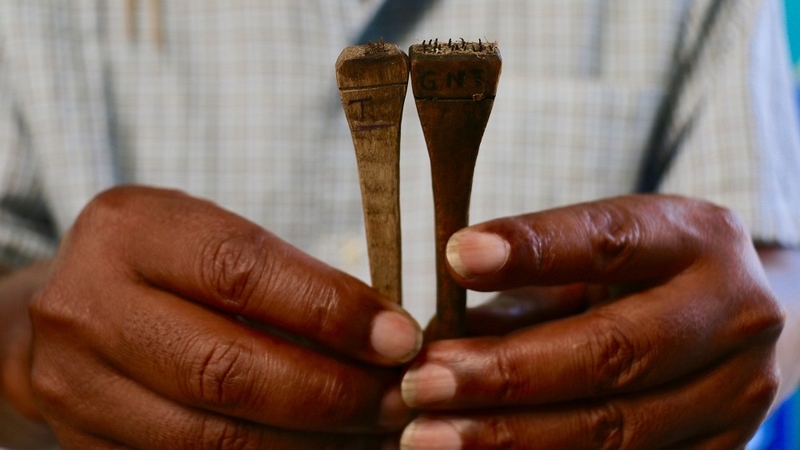 Previous generations of vanilla farmers marked each vanilla bean with their individual pattern he says, telling tales of when his father used to farm vanilla. Velomora explains how large companies now eat the profit, while farmers are paid the same, even if the price on the global market goes up. Farmers describe how there are too many links from farmer to consumer. Some of the profit goes to the collectors, who buy vanilla from the farmers and then sell it on to the next links in the chain. 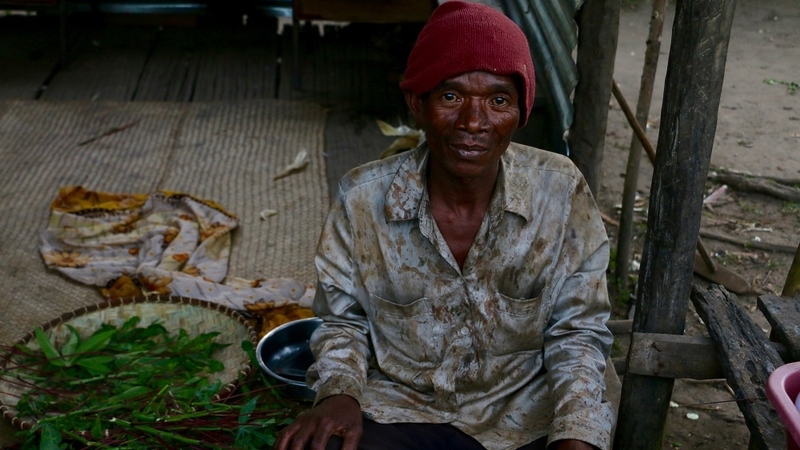 “I make a 20 percent margin, minimum,” says Yanday, acting as a spokesperson for a group of collectors in their shed in downtown Sambava. They deny disguising the stolen vanilla, and say none of them know where the vanilla ends up. “And I don’t care, I don’t ask too many questions,” Yanday says, hinting that the interview is coming to an end. In 2016, the prices for vanilla on the world market reached incredible highs at $400 per kilo. This is new information to the Malagasy farmers, some of whom laugh with despair when they hear what a pod sells for in European supermarkets as compared with the price the farmers sell their green vanilla beans for, which ranges between $8 and $34 per kilo. Soa Marie looks heartbroken when she hears the price for a kilo in Europe, which ranges between $500 and $950. Biddi looks like a man who is ready to give up, as he throws small branches around in the dirt in front of his wooden cottage home. Chances are that Soa and Biddi’s children will be in the same situation as their dispirited parents, forced to sleep in the fields, chasing thieves away while protecting vanilla flowers, hoping the precious vanilla plants will feed their families.